In the hours after Malaysia Airlines Flight MH17 was shot down from the sky, crashing in a wheat field in a rebel-held corner of Ukraine, two American women in the Midwest began to contemplate the ripple effect of the disaster. They understood, with sickening certainty, the pain of the victims' families. They thought too about how hard it would be for the families of passengers on Malaysia Airlines 370, which vanished in March, to experience another crash so soon. They deplored the images of passports -- and human remains -- being broadcast by the media. They were concerned for the safety of the responders and investigators at the scene of the crash. And they worried about the well-being of MH17 family members who may never be able to visit the site, located in the middle of a war zone. For Miller and Severin, leaders of ongoing efforts to aid people who’ve lost loved ones in air disasters, the recent spate of crashes has been not only wrenching but also intensely personal. On Oct. 31, 1994, American Eagle Flight 4184 crashed just outside the small town of Roselawn, Indiana. All 68 people aboard were killed, among them Severin’s sister, Patty Henry; her 4-year-old nephew, Patrick; and Miller’s brother, Brad Stansberry, who was 27. To speak with Severin and Miller by phone is to join in a daily ritual of two close friends bonded by the tragedy, activists who helped win passage of the 1996 Aviation Disaster Family Assistance Act. The law mandated better coordination among federal authorities and airlines in order to aid victims’ families after commercial aircraft disasters in the U.S. This year they are planning the 20th-anniversary gathering for families of Flight 4184 in Roselawn, and founded a nonprofit to serve as an educational resource for anyone affected by the trauma of transportation accidents, called Connections, A Disaster Resource Consortium. “Families need an eclectic array of support to help them through this,” says Severin, who wrote the book "In the Wake of the Storm: Living Beyond the Tragedy of Flight 4184." 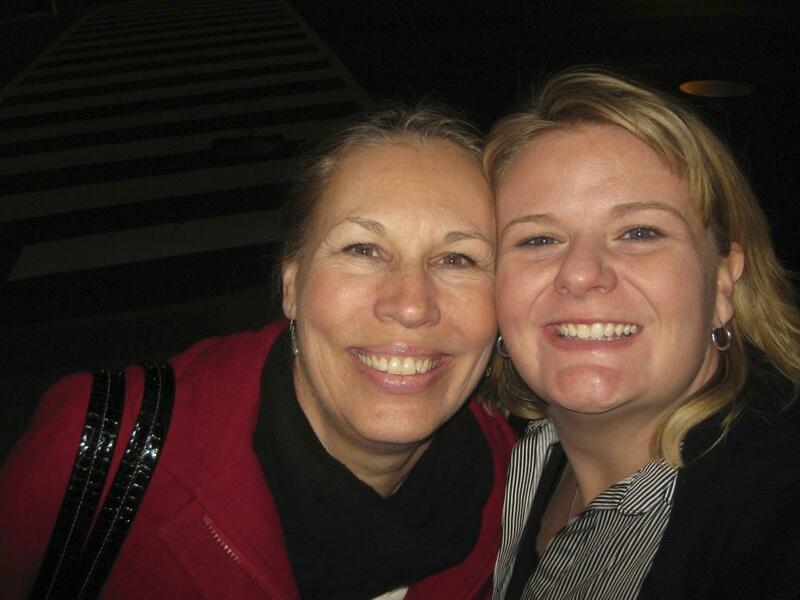 Their own families met at the airport that windy, rainy Halloween day in 1994. The weather was miserable. Miller’s father drove her brother Brad to the Indianapolis airport, where they encountered Severin’s sister Patty with her two sons, Patrick and 7-year-old Jonathon. All were bound for Chicago, but Jonathon had a seat on an earlier flight. Brad, hoping to catch an earlier flight himself, asked Patty about swapping his ticket with Jonathon’s, but Patty decided to send her oldest child on ahead, accompanied by a family friend. Then, in February 1995, Miller and Severin attended a preliminary hearing on the crash held by the National Transportation Safety Board in Indianapolis. Severin recounted Miller’s greeting the moment they met: “It’s like the first words were, 'You’re the one! '” The rest, as they say, is history. In the months that followed, the two women bonded in a common fight: challenging the horrors wrought by the airline’s mismanagement. The burial of remains in a common grave, without informing family members or seeking their consent. Personal effects destroyed rather than returned. Miller’s family held a burial for Brad, only to learn afterward that the remains had been misidentified and were not his. Severin longed to see the crash site. But the airline had told families not to visit the area, and so she waited four months, until the hearing in Indianapolis, before going. She expected to find a clean, empty field. Instead, she saw pieces of plane wreckage, a luggage tag, a watchband, a pearl -- and human remains. “In my mind at that time, I didn’t know if that was my sister or nephew lying in the field,” she says. “The thought of leaving them wasn’t even an option.” She wrapped up the remains and the personal effects and brought them back to her hotel. She shared her disturbing discovery with a news crew from CNN, and turned over the remains to the coroner. Severin and Miller weren’t alone in their fight for a more compassionate, and organized, response. They joined with families of USAir Flight 427, which crashed outside Pittsburgh on Sept. 8, 1994, killing 132 people. All told, family representatives from a dozen different accidents banded together in reform efforts. The 1996 law forced airlines to address the families’ specific complaints about the notification process, the identification of victims, receiving updates and logistical support, and the return of personal effects. Families -- even those affected by different crashes -- have found solace in their “behind-the-scenes community,” Severin says. “You call them up like it’s a relative.” Some have told her they find more comfort from talking to one another than they would from a therapist. Getting to know each other “is one of the greatest silver linings of being in this situation,” Miller adds. Earlier this year, families of Southern Airways Flight 242 contacted Miller and Severin for advice on how to build a memorial, 37 years after that flight crashed during a severe thunderstorm in New Hope, Georgia. The two women have been in touch with some of the families of MH370 through social media. On July 17, Miller tweeted a note of remembrance to the families of TWA Flight 800, which that day marked the 18th anniversary of the flight that exploded off the Long Island coast. That tweet went out just hours before MH17 crashed in the Ukraine. “The effects of these accidents, these tragedies, do not go away in people’s lives,” Severin says. The pair also became close with another policy advocate and fellow family member: Hans Ephraimson-Abt, whose 23-year-old daughter was aboard Korean Airlines Flight 007 when it was shot down by Soviet fighter planes in 1983. He learned of the crash that killed her from a hotel manager; according to the New York Times, the airline never once called to inform Ephraimson-Abt of her death. Ephraimson-Abt spent the next three decades lobbying for the rights of victims’ families. He worked with families affected by the Lockerbie bombing (Pan Am Flight 103) and by the 9/11 terrorist attacks. He helped compel the International Civil Aviation Organization (ICAO) in 2001 to issue guidance on how each of its 191 member states should respond to aviation disasters. Last fall, ICAO gave that guidance more weight, endorsing it as official policy. Ephraimson-Abt was in Montreal for the official event. A few weeks later, he died in Short Hills, N.J., at age 91. The circle of those affected by transportation crashes is very wide, the women say. And it includes the community where the crash took place. Consider Roselawn, Indiana, a town of about 4,000, that sees the loss of Flight 4184 as the town’s own tragedy. Twenty years later, people continue to visit the memorial site and pay their respects. Roselawn is part of aviation history, Miller says. If Roselawn is on a special, tragic map, so now is Grabovo, in Ukraine’s Donetsk region; and Taiwan’s Penghu county, near the Magong Airport; and a spot of desert in Mali, near the village of Boulikessi. For MH370, that place on the map remains elusive. 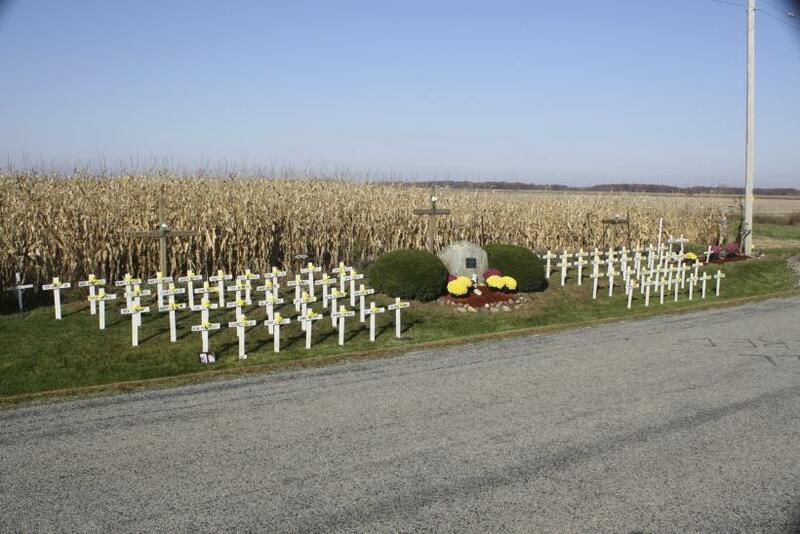 From Interstate 65 in northern Indiana, you make your way to a road called N 400 E and drive until you come to the spot where, for many years, 68 white crosses with 68 names have stood in four rows near the roadside. Behind the crosses is a field, and beyond it, another field, the one that many families consider sacred ground. Severin used to drive down with a friend from Chicago to mow the lawn and weed the memorial site. In winter, they would store the crosses with the painted-on names, and switch them with a smaller set for the cold months. Over the years, local residents have taken on much of this work. They did not know anyone aboard Flight 4184, but they know the families. This year, for the 20th anniversary, a new memorial, a curved stone wall with the names carved into it, will replace the 68 crosses. Lately, family members have been visiting to collect their loved ones' crosses. Rose bushes and desert scrub will fill a garden. This way, Severin says, the site will be easier to maintain for future generations. For the night before the anniversary, the women have organized a town hall meeting with NTSB officials past and present, and the local fire chief. They want relatives who were only children at the time of the crash to have a chance to ask questions. Then on that Friday, October 31, the families will gather at the stone wall. They will light candles. They will bless the new memorial. “This year we thought it was important to emphasize the legacy from the loss of our loved ones,” says Severin. “That there were something positive coming from our losses,” Miller says.